If you want a cost effective way to advertise your business then nothing beats vehicle graphics and signage. Digitally printed wraps or cut vinyl graphics are widely used on cars, van signs and graphics and utes. Hi, my name is Jason and I’m the owner here at HiDesign Signs & Graphics. We’re very different from other car sign writing companies. Unlike other big signage companies where your vehicle signage gets palmed off to a trainee with little or next-to-no experience, I’ll be personally working with you to ensure you get high quality signage service and an attention to detail that is unbeatable. You’ll be getting my 30+ years of sign-writing experience, which not only won me awards but also allowed me to establish strong relationships with brands such as Remax, Ray White, Harvey Norman and Hertz. These relationships and the quality of work I deliver have in turn made HiDesign Signs & Graphics their preferred dealer. Your business means everything to me. You work damn hard to build it, so it really annoys me that other companies think that they can put a trainee in charge of your the vehicle signage. With me, you can rest assured that your business won't be handled by an amateur with no experience! I'd hate to go through that, so why would I do that you? I pride myself on the fact that my business clients love working with me and wouldn’t dare go anywhere else, so I work hard to maintain that. Let me be upfront though - I don’t take on too many clients at once and sometimes I have to turn away clients - because it’s just me and my small team doing the work - not some trainee. So, if you want the specialist treatment, get in touch now and see what spots I have available. HiDesign Signs & Graphics provide vehicle wrap, fleet vehicle wraps, vehicle graphics, and vehicle signwriting services throughout Brisbane, QLD and service areas throughout Brisbane including, Brendale, Everton Park, Albany Creek, Strathpine, Chermside, Aspley, Carseldine, Bray Park, Bald Hills, Eatons Hill, Petrie and all of North Brisbane Suburbs. Many factors will affect the price of your graphics wrap, how much of the vehicle will be wrapped, the type of vehicle etc. We have created a basic price guide to give you some idea, and we are able to create a wrap design to suit any budget. We can create wraps and designs in house, or from your own graphic designers concepts. For us to create we first create a brief with you, where we take your ideas and vehicle information, we then require a 25% deposit to begin the design process. Most installs are completed within one day, some much quicker like basic spot graphics could be completed in an hour or two, or a full colour change wrap could take 2-3 days. We will give you an accurate estimate prior to installing your wrap. Can my vehicle be wrapped? Your paint must be in good condition, wrapping is not suitable to replace flaking or cracked paint, for that we recommend a respray. Paint protection or ceramic coatings can also effect a wraps adhesion properties, and may need to be compound polished off the paint prior to install. Talk to us for available options. What are the different types of wraps? Our price guide gives some indication of the different coverage zones. 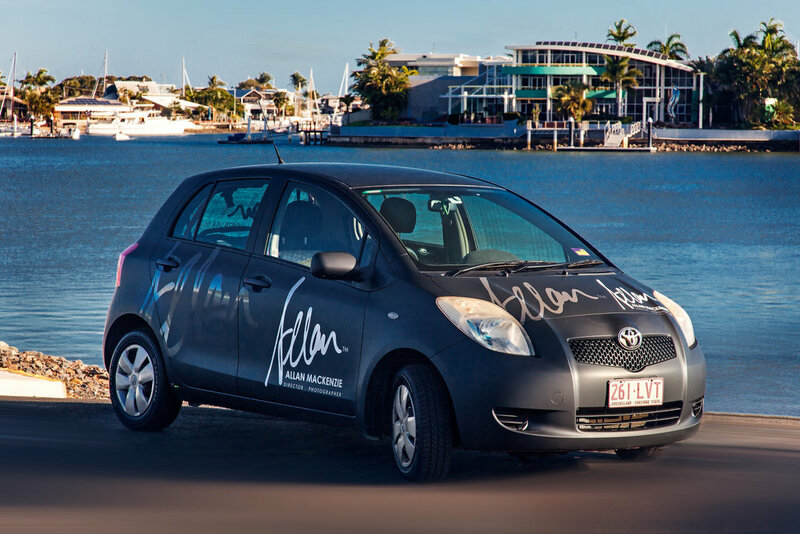 In addition to the ares covered, your wrap can be fully customised with todays modern film variants, like full digital print with UV laminate, contour cut graphics – shapes – text from coloured vinyls, full panel colour change with gloss, satin, matte, metallic reflective and other special effect film, embossed graphics and more. Of course we can also combine any of these different materials together on a vehicle for a fully customised wrap. How is the signage applied to my vehicle? Your new wrap is installed at our factory in Brendale, by industry accredited installers using state of the art techniques and tools. 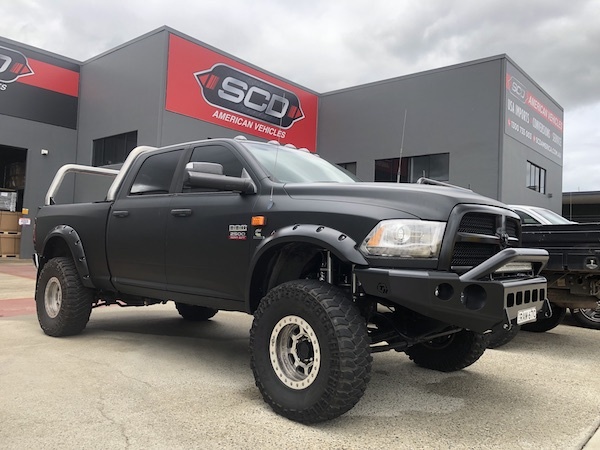 Your vehicle gets a minimum 3 stage cleaning process to remove tar, road grime, oils and dirt, then where required hardware like door handles, badges and emblems, mirrors etc are removed and then reinstalled after the wrap is on, for a premium finish. How long will the signage last? We use only the best available films from the world’s best manufacturers, such as 3M, Avery, Arlon, Hexis and Orafol. A properly maintained and kept wrap will last for many years. We can provide specific wash and maintenance schedule advice to suit your new wrap. What’s the cost to have it removed? All our wraps are removable film, the cost will vary from wrap to wrap. Sometimes a little assistance via a heatgun is required to soften the film, or for larger areas we may use a steamer to speed up the process. When the time comes we can provide an estimate for your wrap removal. A regular HAND wash maintenance program is key to prolonging the life of your new wrap. We recommend using a quality car shampoo, washed and dried in the shade, and followed with a polymer liquid spray wax like Meguiars Ultimate Quik Wax. UV exposure, pollution, bird bombs (droppings), tree sap and other airborne contaminants can all effect your new wrap, we recommend your vehicle be parked under cover wherever possible, avoid parking under trees on a regular basis, and remove any bird bombs as soon as you notice them. Automatic car washes should be avoided at all times. High pressure water blasters should be treated with caution, with the nozzle only ever held perpendicular to the surface and at a distance of at least 50cm away. Spaying at an angle can cause the edges of any wrap to lift, creating premature failure.